This Wyvern model is outfitted with a gray micarta handle and comes equipped with a black nylon carry sheath. 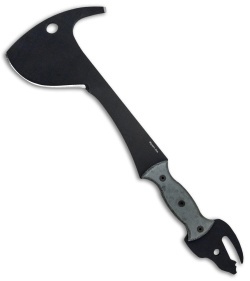 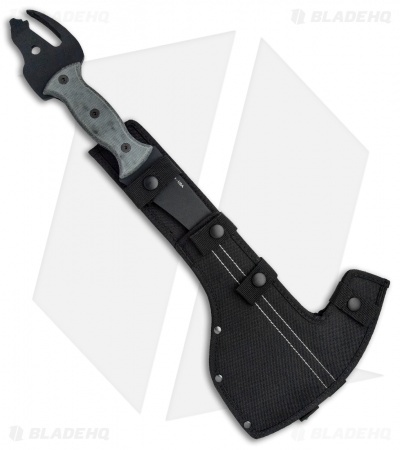 The Wyvern Axe is part of Ontario's Magnum line of knives and tools, which are engineered for extreme use. The Wyvern is the civilian variant of OKC's military-only special operations crash axe. 5160 steel provides a solid, durable build, with a thick micarta handle for a high performance grip. The Wyvern is named after the mythical beast it resembles.